Following the acquisition over the past 3 years of 5 state-of-the-art Diamond DA 42 twin engine training aircraft, FTEJerez today announced the purchase of a further Diamond DA 42 Flight and Navigation Procedures Trainer (FNPT Type 2). This brings the total number of DA 42 FNPT2 devices at Flight Training Europe to three. 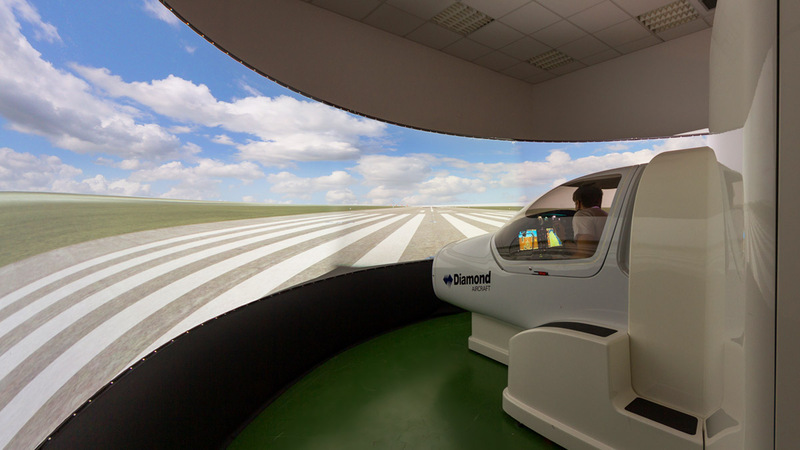 With this device, that exactly replicates the DA 42 training aircraft, students undergoing flight training at FTEJerez not only benefit from economical practice time, but also get to hone their flying and navigational skills and get to practice emergency situations that can be scheduled irrespective of weather conditions. Equipped with sophisticated real avionics like the Garmin G1000 glass cockpit including the GFC700 Automatic Flight Control System, high-end visuals and sophisticated instructor operating stations, these devices are invaluable tools to increase safety, efficiency and training effectiveness at FTEJerez.